Literacy is an essential aspect of our everyday lives and it is embedded in just about everything we do. Being literate is something that many of us take for granted. I do! For many Aboriginal people, being able to read and write is not something taken for granted. As an Aboriginal person, I see this playing out, to some degree in my own family. Some of my ancestors could read and some couldn’t. Thanks to them, I have been literate most of my life and I enjoy the benefits of being literate. But for my young relatives, I worry about it. My Arch Nelson address is a personal story about literacy in my family, an Aboriginal family, throughout the generations. Heather D’Antoine is Division leader of Education and Capacity Building and Associate Director for Aboriginal Programs, Menzies School of Health Research. Heather has 25 years of experience in health services as a registered nurse and midwife and as a health service manager in both Aboriginal health services and general health services across Western Australia. In the last 12 years, Heather has worked in health research: eight years at the Institute for Child Health Research and two years at the Menzies School of Health Research. She has clinical qualifications in general nursing and midwifery and academic qualifications in health economics. Heather’s research interest is in maternal and child health. She is particularly focused on the area of fetal alcohol spectrum disorders (FASD) and other birth defects. Heather has worked with a research team on a number of projects in this area including describing what health professionals and women know and do about alcohol and pregnancy and FASD. 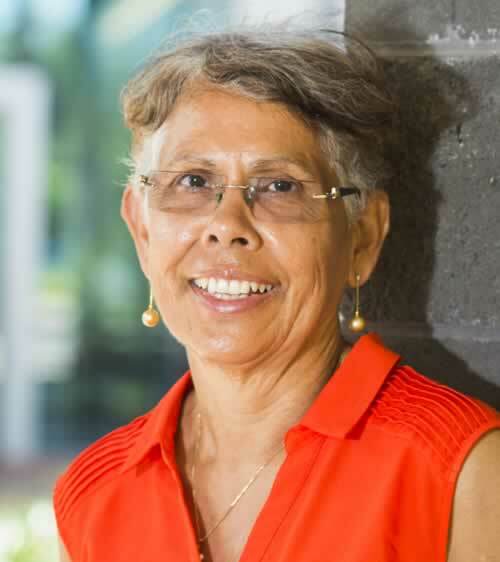 She has been involved with developing and evaluating resources for health professionals and developing a model of care for FASD in Western Australia. The 2017 Arch Nelson Address will be given by Heather D’Antoine. Arch Nelson played a major role in placing adult education on the government and public agenda and he was inaugural Chairman of the Australian Council for Adult Literacy (ACAL). The Arch Nelson Address is a common feature of ACAL Conferences.